One of the most amazing things we saw in the Dominican Republic were all the caves. 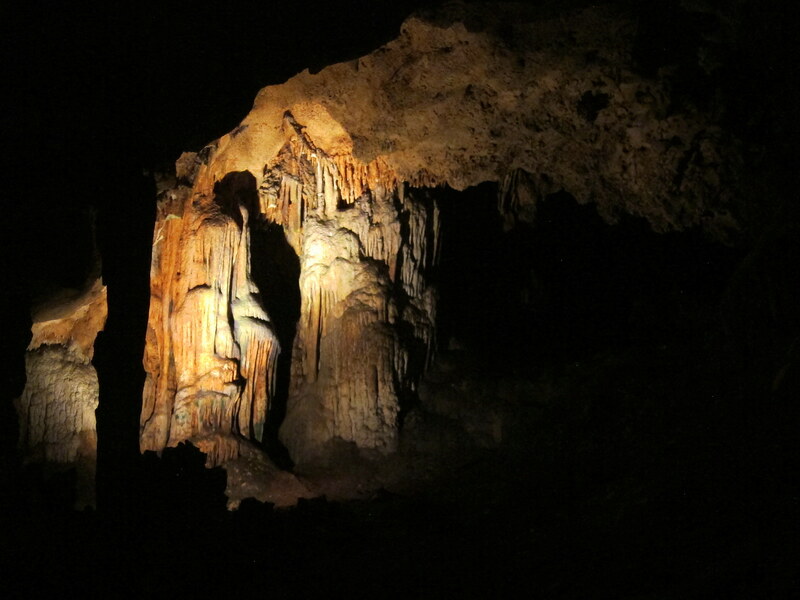 We only went to two – Cuevas de las Maravillas and Tres Ojos. 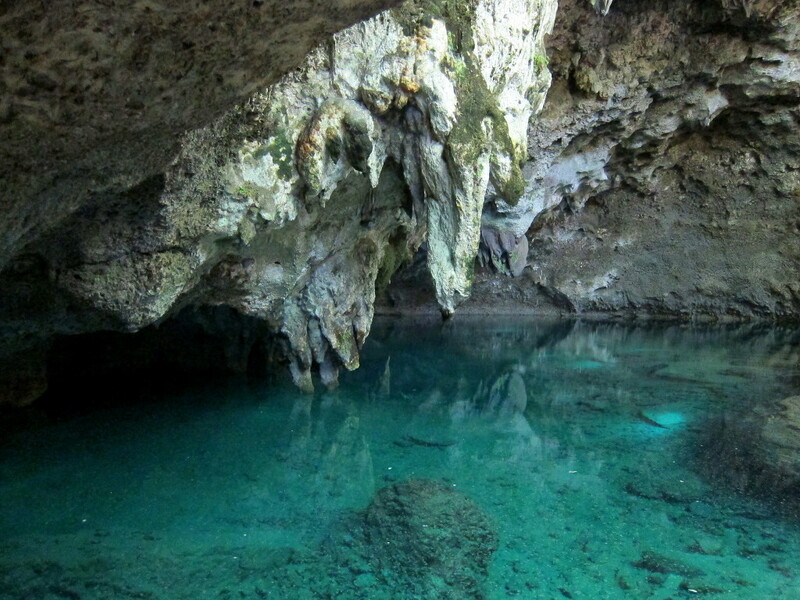 The first one, Cuevas de las Maravillas was a HUGE cave in the middle of nowhere on the way from Santo Domingo to Punta Cana. 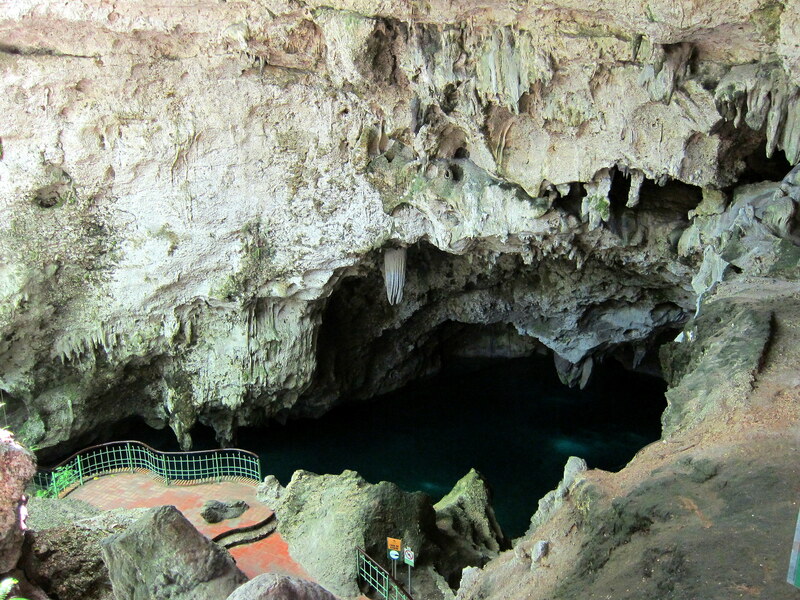 Tres Ojos was a smaller set of caves right smack in the middle of Santo Domingo. Both caves were extremely interesting for different reasons. Cuevas de las Maravillas were impressive because of their massive size. They were humongous!! You could fit a whole village inside. We went down a ton of stairs to get into the cave and still had to take an elevator to get to the very bottom. 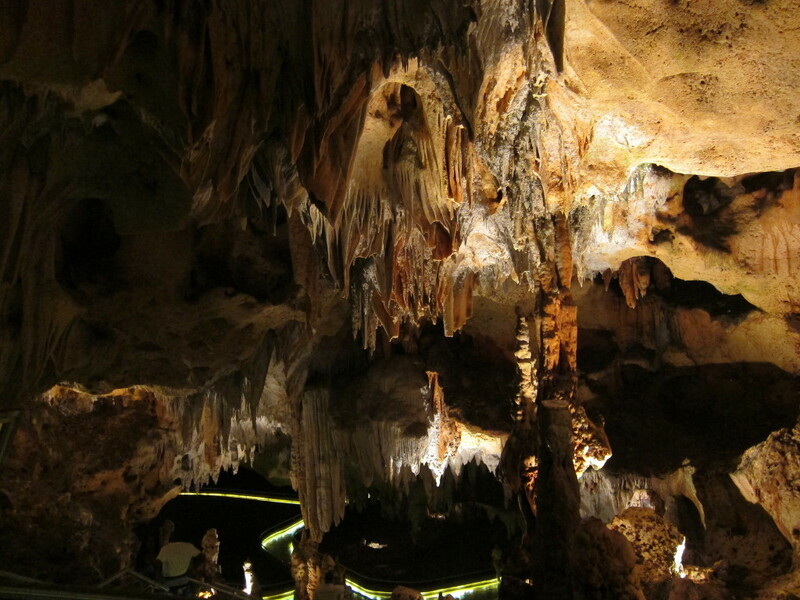 The stalactites and stalagmites were insanely huge as well. The amount of open space inside the cave was also impressive – it makes me wonder how the island doesn’t cave in, with so much space under the earth. We were not allowed to take pictures inside the cave, but the other couple that was on the tour with us did, and the tour guides seemed to look the other way on purpose to pretend that it wasn’t happening. 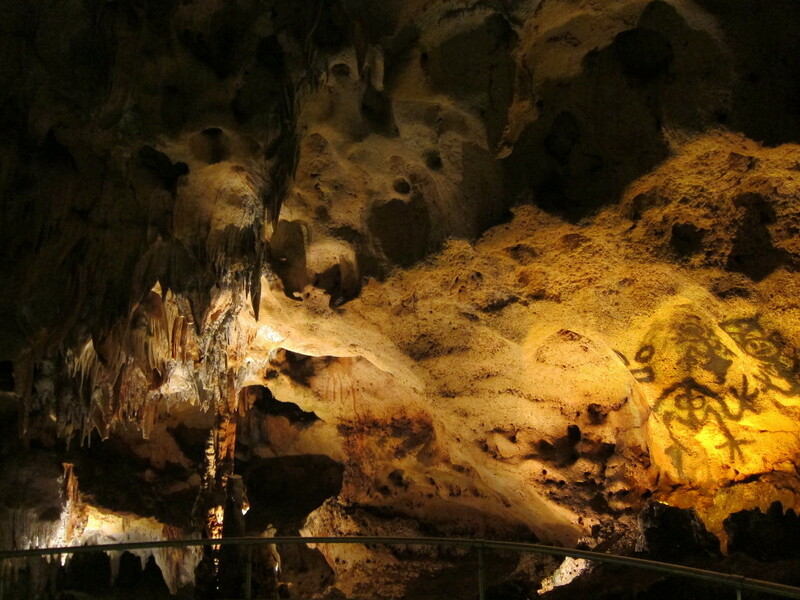 So I snapped a few pictures, but they do not capture the grandeur of the caves. After we came out of the caves, there was an enclosure with iguanas, and we got to see some huge iguanas having lunch and doing their iguana things. 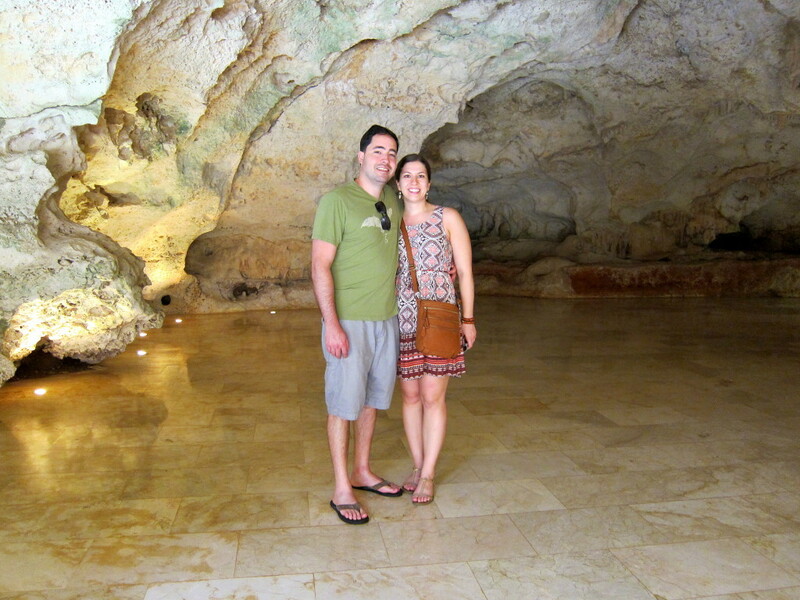 The other cave experience we had on our trip was the Tres Ojos caves in Santo Domingo. 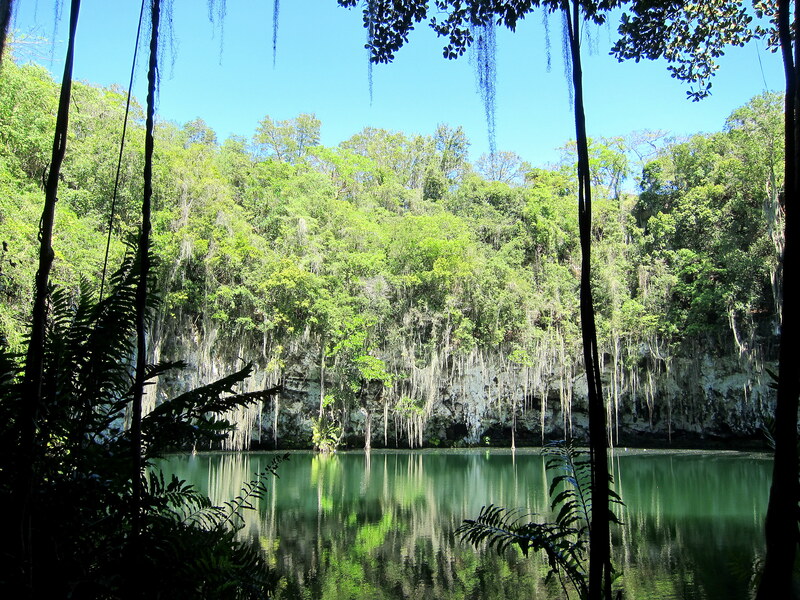 Tres Ojos were much smaller (especially for those who have seen the grandeur of the Cuevas de las Maravillas), but the amazing thing about them is that they are located right in a large park in the middle of the city! It makes me wonder how many other caves are located under Santo Domingo, and again, how in the world the city is not caving in! 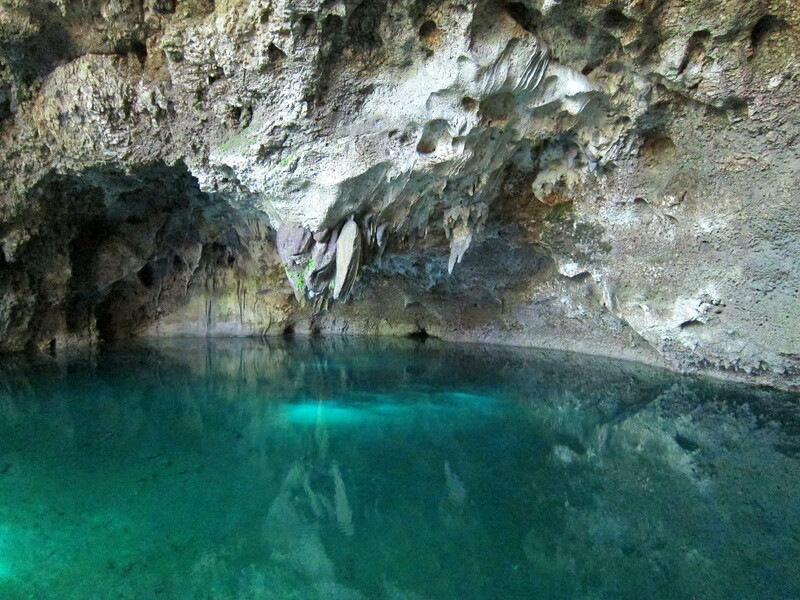 I am sure the Tres Ojos are not the only caves under the city, since the whole island seems to have caves all over. There is a “no swimming” sign inside Tres Ojos, yet there is one local guy who is always there sitting around in swimming trunks, willing to jump 20 feet into one of the deeper waterholes if you pay him a few pesos. Aldo has been to Tres Ojos before, and said the same exact guy was sitting there last time, 5 years ago.